Our coaches and consultants have helped Life Sciences leaders succeed in taking on challenging new roles, expand their leadership influence across the organization, and maximize their business impact. 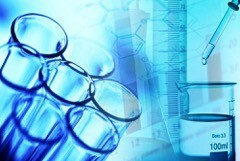 Life Sciences is one of the most global industries, both in terms of markets and company investments and ownership. So Martin Global Leaders clients value our expertise in developing strong leaders who can succeed across cultures and managing global teams.